If you are heading out in the sunshine today (Tuesday May 11) and tomorrow lunchtime the Met Office is warning that the UV index is set to be high. Temperatures across Sussex are set to pick up over the lunch period to around 15degC with a gentle breeze but the high ultraviolet index means you need to use sunscreen or cover up in direct sunlight. 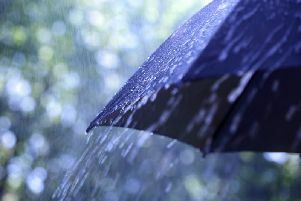 The weather is set to change on Thursday (May 14), however, with the possibility of heavy showers, while the weekend looks set to be changeable but mild.